But what were the fan film news stories from 2017 that had the greatest impact on the world of Star Trek fan films? Well, guess who just made a Top 10 list of that very thing! This past year, the BERLIN SCIENCE FICTION FILM FESTIVAL became the first-ever to feature a category exclusively for “Fan Films.” Initially, I was concerned when I saw this rule: “You must have all copyright clearances, including music, for all the work you submit to us.” But then I noticed the very next rule: “Fan films are an exception as they are always homages to existing franchises. We do accept and want fan films in the festival.” Later in the year, the IndieBOOM! film festival also opened up submissions specifically to fan film makers. And this film festival was also offering a grand prize of $500! Instead, after a discussion with the film’s Italian producer, GIANMARIA PEZZATO, Warner Brothers has allowed him to complete and release this $30,000+ Harry Potter fan film with only minor stipulations: no profit is to be generated in any way, no endorsement by the studio is to be implied, and don’t use the official movie font in your logo so you won’t confuse the fans. Is this a taste of things to come in the way the major movie studios deal with fan films? 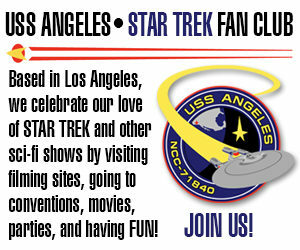 Might CBS and Paramount someday relax their strict guidelines for Trek fan films? Or will Warner and other studios tighten their rules instead? All we know for certain right now is that fan films aren’t going away. The fan film community lost one of its most beloved proponents when RICHARD HATCH passed away in February at the age of 71 from pancreatic cancer. Known to most sci-fi fans as Captain Apollo from the original Battlestar Galactica and Tom Zarek from the reboot series, Richard was also involved in multiple fan film projects. Most notably, Richard Hatch played the magnificent role of Klingon Commander Kharn in Prelude to Axanar. He also appeared in an episode of Star Trek: New Voyages, “Torment of Destiny,” which sadly was never completed and released. And Richard starred in an upcoming new fan series, Blade of Honor, the first episode of which is still in post-production. 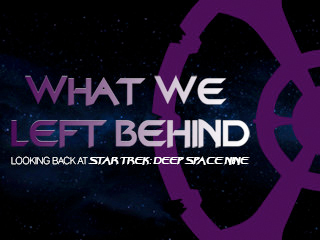 The Indiegogo campaign from the IRA STEVEN BEHR and ADAM NIMOY for the DS9 documentary What WeLeft Behind took in $647,891 from 9,552 backers! That blew through all four stretch goals and will allow this documentary to be 90 minutes long (instead of just 60), feature elaborate 3D graphics and animations, have an original score recorded by a live orchestra, provide an extended writers room feature, and remaster some selected show clips in High Definition…including having CGI master DOUG DREXLER render new CGI animation sequences in HD. This amazing crowd-funding total demonstrated that Trekkers are still willing to donate to worthy projects. It also showed the studios that Deep Space Nine has as loyal a following as any of the other Star Trek properties. This past August, JAMES CAWLEY (creator of Star Trek: New Voyages) was able to expand his CBS license for his STAR TREK SET TOUR to create the STAR TREK FILM ACADEMY. Fans will be able to come to his upstate New York sets for a week of film production classes taught by veteran Star Trek professionals. Cawley explained that this wasn’t simply a “make your own fan film” school. Each student will oversee and direct their own version of a CBS pre-approved screenplay. Described as a “fantasy camp” by Cawley, the week-long curriculum will culminate in fans being able to shoot their own Star Trek scenes on his TOS sets and walk out of the experience with their own finished mini-episodes to show. POTEMKIN PICTURES is a fan film-making MACHINE! Around since 2010, they began with the fan series Project: Potemkin, which produced three dozen episodes over six years. In the years preceding 2017, Potemkin Pictures had added another THREE series focusing on the crews of the USS Deimos, USS Tristan, and Klingon Battlecruiser Kupok. Those three series continued to release a combined TEN episodes this past year. They also launched two new series in 2017…one focusing on the crew of the USS Endeavour and another on Janice Rand and the crew of the USS Triton. Although ultra-low budget, these numerous series—produced by various teans in Alabama and Georgia and overseen by executive producer RANDY LANDERS—focus on story and character…with a good amount of dedication and heart. Speaking of fan film-machines, VANCE MAJOR is a one-man force all his own! Nicknamed (by me) the “Where’s Waldo of Trek fan films,” Vance had already been involved in various capacities in over a dozen different fan films and series even before launching on his own ambitious undertaking: the MINARD saga. Focusing on the chief engineer that Vance himself played on the fan series Starship Valiant, Vance used 2017 to flesh out this character with an expansive story spanning over a century in Trek-time…from serving under Captain Pike to fighting the Borg in the late 24th century. During 2017, Vance would at one point release seven Minard episodes in just seven days(! ), ranging from 3-minute vignettes to the maximum 15 minutes allowed by the guidelines. He released ANOTHER seven episodes in November and December, and still plans a final six in the first two months of next year. Told in a non-chronological order, each fan film stands on its own while also fitting into a rich, larger tapestry. At the end of 2016, STARBASE STUDIOS was forced to relocate from Oklahoma City when the warehouse owner who was providing them free rent sold his property. Vance Major organized a GoFundMe campaign that raised $3,500 to help cover expenses for the move of their TOS sets to neighboring Arkansas, with many volunteers chipping in free labor to help pack things up and load/unload from trucks. After the move, it seemed everything was fine again with Starbase Studios. It turns it things weren’t fine. Disagreements among the organizers/owners about whether to charge fan films and how much to charge them, along with other conflicts, resulted in various items being surreptitiously removed from the sets, leaving the remainder all but unusable. This situation was kept quiet for about three months while efforts were made to work things out. Those efforts failed, and SCOTT JOHNSON and KENT EDWARDS went public with a video documenting what was done to the sets. A lawsuit was then filed against them by GLEN WOLFE. 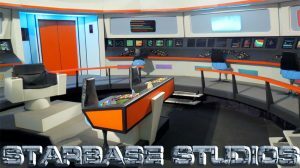 There’s word that the two sides are still trying to work things out, and with luck, a peaceful and productive resolution to the Starbase Studio controversy might be one of the Top 10 fan film stories of 2018. But for now, all we can do is cross our fingers and hope. 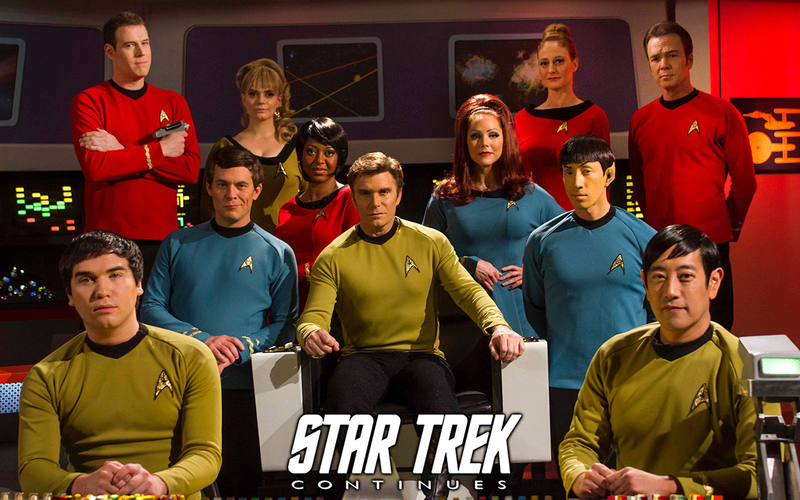 After five years and seven FANtastic full-length TOS episodes, STAR TREK CONTINUES faced a hard choice going into 2017. They’d planned to produce six more episodes before shutting down, doing maybe one or two more crowd-funders. Instead, with the new guidelines in place, STC made a bold decision: they would ignore many of the new guidelines and use the $200,000 from their most recent Indiegogo to produce and release just four more episodes in rapid succession, all in 2017, and then shutting down their production forever. Their hope was that a good relationship with CBS and Paramount would result in their being allowed to complete their four not-in-compliance episodes. The gambit worked. Using a combination of volunteers, paid professionals (working at a discount), and even a veteran Star Trek actor (John DeLancie), STC produced and released four new 50-minute-plus Star Trek fan films…and they were each spectacular. Enthusiastic and energized, hard-working and dedicated, brash and bold, the STC team left Star Trek fandom with a precious gift of eleven triumphant episodes and a legacy that will be long remembered and admired. Without a doubt, the mother of all shockers to the fan film world came last January when CBS and Paramount unexpectedly settled their year-long copyright infringement lawsuit against ALEC PETERS and AXANAR PRODUCTIONS. After spending an estimated one million dollars on legal fees trying to shut down the production, the studios agreed to let Axanar be made with the same cast of veteran Trek and sci-fi actors along with other industry professionals. The only stipulations were that Axanar could no longer use public crowd-funding campaigns and that the finished production could be no longer than 30 minutes (rather than the 90 minutes that were initially announced). But things were far from smooth sailing for Axanar after that. With a 3-year leased Southern California studio draining away $15,000/month, and a campaign to raise donations to cover rent failing to get much over $22K, a decision was made in April to move the sets to just outside of Atlanta, GA into a facility with less than a third of the rental and utilities costs. Alec was able to end his lease commitment eight months early, and in May, the sets were moved across country with the help of dozens of volunteers on both coasts. But the Axanar news for the year wasn’t over yet. Shortly after the move, the new studio got a sponsor, OWC DIgital, whose CEO, LARRY O’CONNOR, is a big fan and supporter of the Axanar project. 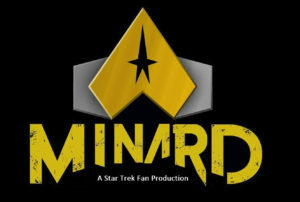 Then in early November, ROBERT MEYER BURNETT, who had edited Prelude to Axanar and was slated to direct the upcoming 30-minute Axanar fan film(s), announced that he was stepping down. A new director has not yet been announced. However, when one door closes, another door opens, as at about the same time, Marvel Comics writer PAUL JENKINS joined the Axanar team as a new co-writer for the script. Speaking of which, I’d like to wish all of my readers a very happy and healthy New Year. Remember, if you’re going to drink, please don’t pilot a shuttlecraft or any other moving vehicle. I want to see you ALL back here in 2018! Sadest part is we went from arguing about axanar and the lawsuit, to arguing about starbase studios and the lawsuit. Thanks, Jon…amd same to you and your family. Happy New Year to you and your wonderful wife and adorable baby boy. We’re all looking forward to the last six episodes of the Minard saga beginning in just six more days! I have seen the first two. They are really good. And just a small thank you for all you do, Mr Lane. You have the endurance of Pheidippides, the wisdom of Solomon, and the patience of Job! I had no idea about that Voldemort effort. WOW. Also, that’s a great list. Someone might quibble about the list, but not me. Email me if you want HOT PICS of Saul Rubinek. Cuz I got ’em. What happened with David Rappaport was a tragedy, Gabe, and shouldn’t be made light of. For those who don’t know, David Rappaport was initially cast to play Kivas Fajo in the TNG episode “The Most Toys.” Previously, he was most well known for his role of Randall in “Time Bandits.” Rappaport was struggling with depression, and shortly after filming began on the TNG episode, he tried to commit suicide. He was quickly recast with Saul Rubinek. A few months later, Rappaport finally succeeded in taking his own life with a bullet. About a dozen years ago, I worked with a short person/dwarf (not sure what is and isn’t politically correct these days) at a company called School Loans Corp. He and I were both senior managers of different departments, but we interacted frequently. He was a really nice guy, no chip on his shoulder about his height (that I could detect, at least), he looked a bit like Peter Dinklage, and his wife, who was very petite but not a dwarf, was very, very sweet. About eight months after this man came to work at the company, the senior management was told by HR on a Monday morning that he had taken his life over the weekend. His wife was devastated. I found out later that he also suffered from depression and health issues that he never discussed. Like Hervé Villechaize (the actor who played Tattoo on “Fantasy Island” and who also committed suicide in 1993), my co-worker’s organs were all normal adult-sized while his body was the size of an 8-year-old. This left him in chronic pain most of the time and made it difficult to breathe in certain positions when he was sleeping. None of the rest of us had any idea. I don’t know if David Rappaport had similar health issues, but ever since the death of my co-worker, I’ve tried to be more sensitive and sympathetic to the struggles that the vertically challenged have to endure in their lives. I hope that, by sharing this story with you all today, you might find that sympathy within yourselves, as well. … I’ve had a life long struggle with depression, been suicidal many times, and I’m pretty short. I’m certainly not blind to such things. It’s not a competition, Gabe. I just wanted to share the story. Can we do Stephen Collins jokes instead? David Rappaport jokes might be a little tasteless, but ol’ Willy Decker? Nobody’s gonna get behind him, he’s fair game. The judges will allow it. 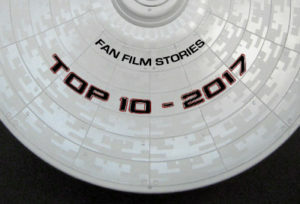 Previous Previous post: 2017 Star Trek fan film YEAR IN REVIEW!